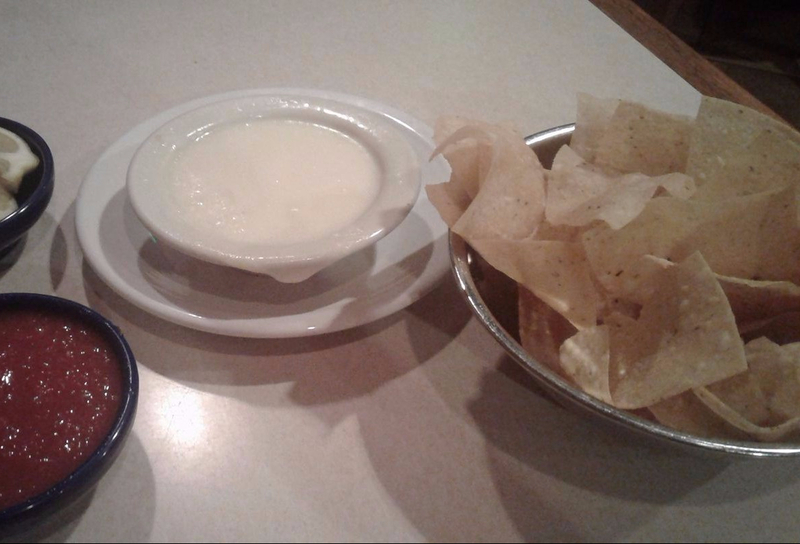 Today was a day for queso. You know what I mean. Q U E S O!!!!! I had to have it. I *needed* the queso. I wanted to be one with the queso and have it be one with me. SO, I took my intern with me and we went to a local mexican joint and had some delicious food with…you guessed it…QUESO! The first bite of queso provided that immediate euphoric experience. The cheese was hot, salty, gooey (get your minds OUT of the gutter…this is melted CHEESE I’m describing) and paired perfectly with the corn totilla chip that was delightfully crisp, but sturdy enough not to break in the dip. I dipped my chips in the queso, then in the salsa, and the combo was divine! An explosion of flavored assaulted my sense of taste and smell. The cheese lent relief to the biting spice of the jalepeno. The spiceness of the salsa complimented the mildness of the queso and lent it a livlier flavor than had I just enjoyed the queso alone. Mexican for lunch was SUCH a good idea. Queso is life. Go get you some. Oh the magic of eating exactly what you are in the mood for. One of life’s little (big?) pleasures. I was right there with you dipping into that gooey goodness. And when the chip doesn’t snap? The universe was rooting for you today, lady!